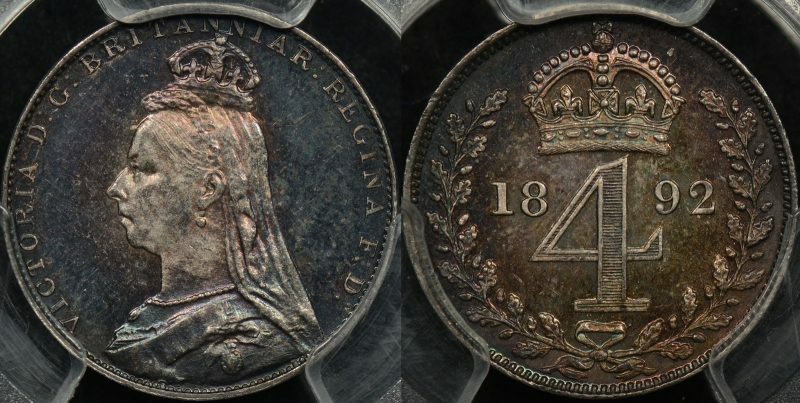 1892 maundy prooflike set graded by PCGS. 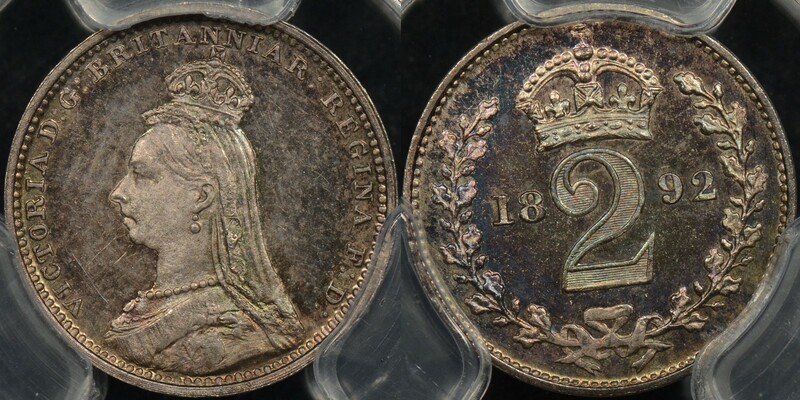 The penny PL66, twopence PL65, threepence PL66 and fourpence PL64. Consecutive PCGS certificate numbers.